FREE Sample Of Abs Of Steel! You are here: Home / FREEbies / FREE Sample Of Abs Of Steel! Fill out the online form for a FREE sample of Abs Of Steel! 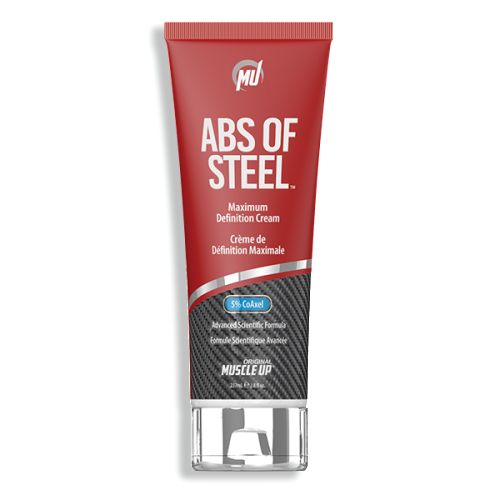 Abs of Steel™ features CoAxel, a blend of Coenzyme A, L-Carnitine and Caffeine along other proven active ingredients that are synergistically blended providing the perfect formulation for rapid, noticeable results. Tighten up for the appearance of a toned, lean and mean look. Abs of Steel™ helps you achieve the appearance of that v-taper, shredded six pack look, with 3-D abs that pop. This site loads very slowly!